One of the major search and questions we receive is what products should be used for what purpose. For years we have had these suggestions on our customer service FAQs. The problem has been that this form of information exchange is hard to get to and in our fast pasted world, we all seem to find it easier to re-ask the question rather than searching for it. To this end, we have reset and reconfigured our website to now offer subcategories based on popular questions like acne, eczema, psoriasis and other disorders. As we pointed out, we have also configured a predictive search function to make it easier to find products based on functionality in our online store. We have also increased the search functionality on our blog herein where you can search based on keywords and phrases. Adding to this is a bubble chart that we have simplified based on our printed literature. Herein is the beginning of a chart that will become a page on the speed bar above that will expand to show functionality of our products. 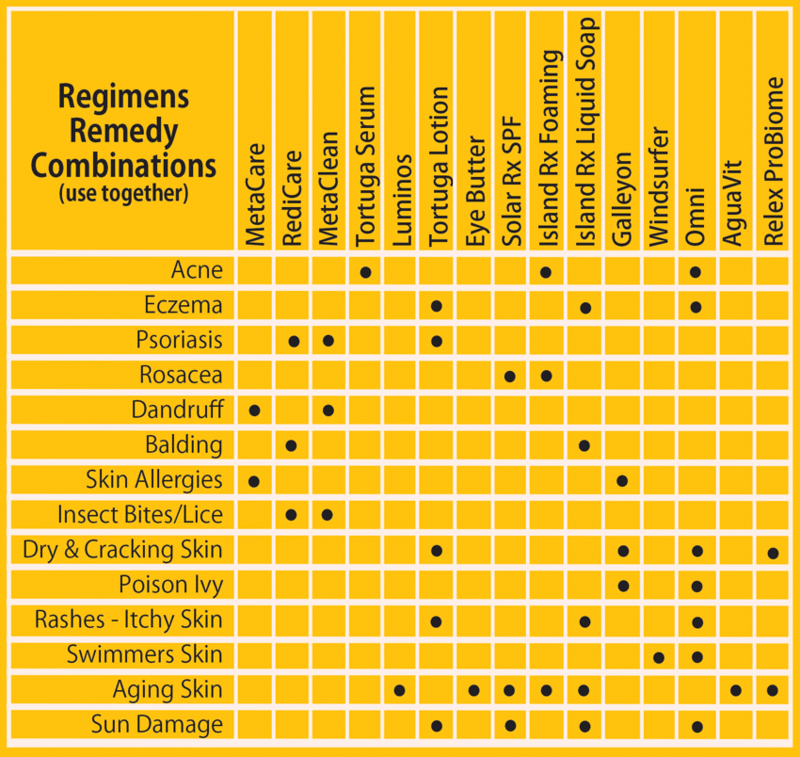 This chart recommends product combinations that have been recognized as helping certain skin conditions. Prior bubble charts in our printed literature look similar, but the difference here is a chart that recommends a regimen for each disorder or condition. 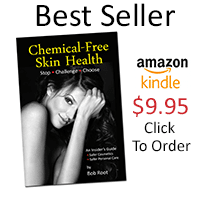 As an example, over the years we have learned that many..high 80% range of eczema diagnosis is directly related to chemicals in products that cause similar symptoms. For years, we have recommended Tortuga lotion for eczema, but found that people would continue to use a high sulfate skin cleanser that had also high levels of parabens. So, as you can see, this chart not only recommends Tortuga, but also Island Rx liquid soap and Omni sprayer elixir. The chart will expand based on the popularity of questions we receive here and through our predictive search function. For now, here are the most popular regimens based on what we have been asked so far. Below is also a more direct way of asking what does what when it comes to Keys products. Just fill out the form and press the submit button. That is it and we will address your request reflected in future versions of this chart. We look forward to your questions herein and through our other search functions. Clearly, we work to make our products better and more functional. We also are working hard to make our blog and website more functional, easy to use and safe.